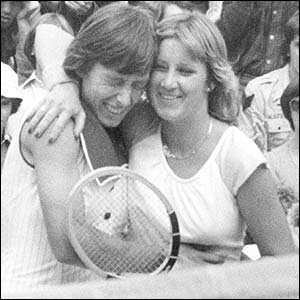 The best rivalry in women's tennis is probably between Martina Navratilova and Chris Evert. The two have 82 head-to-head matches, with the favor tipping towards Navratilova, winning 44. 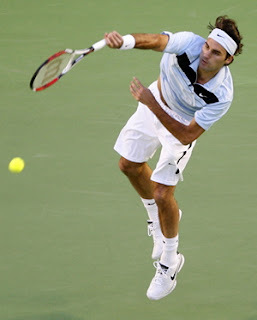 Swiss tennis star Roger Federer has now equalled Jim Connors' record of 160 consecutive weeks as world No. 1. Federer also has the potential of becoming the longest top ranked player. The only other players with longer records than his as No. 1 (but not consecutively) are John McEnroe (170 weeks), Ivan Lendl (268 weeks), Connors (268 weeks) and Pete Sampras (270 weeks). Indian tennis ace Sania Mirza's first singles and doubles titles were both won in Manila, Philippines in 2002 - both in the ITF circuit. Mirza is also the first Indian to win a WTA title, which she won in Hyderabad in 2005. She is also the first from the subcontinent to crack the Top 50 in the WTA rankings. Martina Hingis became the youngest world no. 1 in singles on March 31, 1997, at age 16 years 6 months and 1 day. She broke the previous record held by Monica Seles, who became the youngest no. 1 in 1991, at age 17 years 3 months and 9 days. 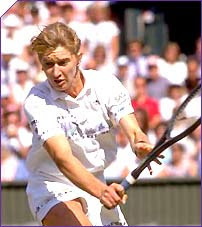 Steffi Graf was the only player in women's tour able to achieve the so-called Golden Slam, winning an Olympic gold medal in singles and all of the calendar-year grand slam events. 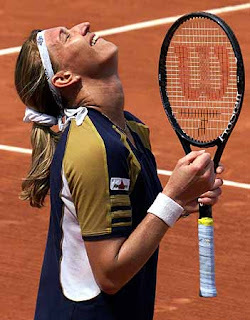 Graf achieved the feat in 1988, winning a gold in Seoul Olympics and winning all of the majors that year. Steffi Graf was never ranked lower than No.2 between March 1987, and June 1997. 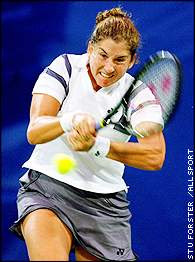 Monica Seles reached the Top 10 in the women's tour on her first year on tour, in 1989. Steffi Graf's 45-0 streak in 1987 is the best season start for the women's tour. Martina Hingis and Martina Navratilova followed with second-best 37-0 starts, in 1997 and 1978, respectively. 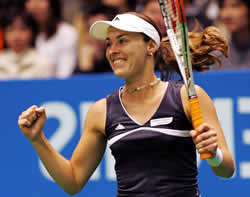 Martina Hingis won her record fifth Pan Pacific Open title last February 4, 2007 in Tokyo, defeating Serbian Ana Ivanovic in two sets. Hingis also appeared eight times in the finals of the said Tier 1 tennis event during her 10-year career.